It is difficult to give a price quote over the phone or via email. Due to every situation being unique an inspection needs to be done. The problem you are experiencing may be more difficult to manage than other situations. A 3 story house is more complicated than a small ranch. A warehouse or other business is not the same as a residential service. Also Nuisance wildlife does not follow any set of rules when it comes to using your business or home as a dwelling. We may also suggest exclusion work be done to prevent future wildlife from moving into the same area. Exclusion work can only be priced during an inspection. A Inspection consists of a top to bottom, interior to exterior inspection of the residence or business. Inspection fees: This fee is based on the amount of travel to the location and starts at $50.00 + tax within Monroe County. OK you’re still wondering what it might cost you. Here is a general price list of just exclusion / trapping. This does not include exclusion work (sealing off entry points to prevent future animals in the same location). This price list is subject to change. Pricing may be more due to the amount of travel involved. Small Mammals: (chipmunks, squirrels, etc..) One way door /trapping only typically ranges from $225.00 – $300.00 + tax (may be a removal /reset fee per animal) Exclusion price can only be estimated after viewing the property. 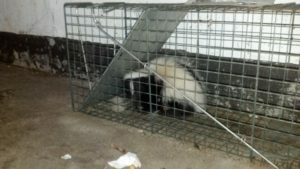 Medium sized Mammals: (opossum, skunk, raccoon, woodchuck, etc…) One Way door / trapping only $300.00 – $500.00 plus tax (may be a removal fee per animal) Exclusion price can only be estimated after viewing the property. BAT PROOFING: Pricing is case by case. An inspection must be done. 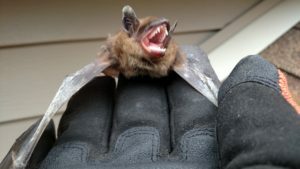 See our Bat page for best months for bat proofing work to be done. CANINES: (ex. fox-coyotes )pricing is case by case. An inspection must be done. Eviction Nuisance Wildlife control does not remove domestic canines. EMERGENCY REMOVAL: A fee of $150.00 minimum+ tax (maybe higher depending on location) per animal removal call based on location and type of animal. 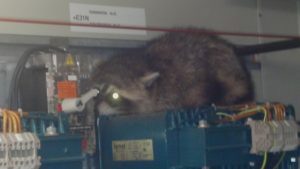 A animal removal call consists of a nuisance animal in the home that can not be trapped but needs removal immediately. Examples: Bat, squirrel, raccoon, opossum has made its way into the living area and is unable to get out. (This pricing is for normal hours 7am -6pm). AFTER HOURS EMERGENCY REMOVAL: For hours after 6pm. A minimum of $225.00 + tax will be charged for any animal needing immediate removal after 6PM – 7AM. 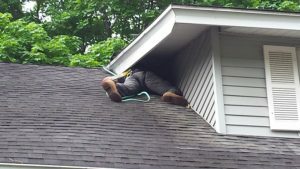 A animal removal call consists of a nuisance animal in the home that can not be trapped but needs removal immediately. Examples: Bat, squirrel, raccoon, opossum has made its way into the living area and is unable to get out. We at Eviction Nuisance Wildlife Control hope this makes your decision process a little easier. Thank you for you interest in Eviction Nuisance Wildlife Control.